Roof Plus Ltd are also able to supply materials from our yard at Bretton, Chester. 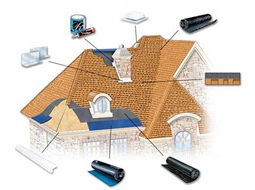 We can provide a competitive price for Breather Felt, Galv/Ally/Copper Nails, Lead, Marley Tiles and fittings, Russell Tiles & Fittings, Roto and Velux Roof-lights, Roofing Tools as well as all other major manufacturers and being a roofing contractor we stock all ancillary items as standard. Please note we cannot offer Credit and all materials must be paid for up-front via Card Payment or Cash, we do not accept Cheques. In addition VAT is added to every quoted price.